New York: Duell, Sloan and Pearce, 1951. Cloth. Near Fine/Near Fine. 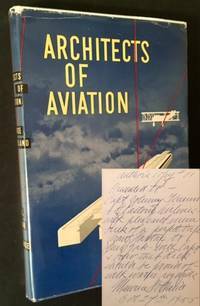 A WARM, FULL-PAGE INSCRIPTION (AUTHOR'S COPY #81) FROM MAURICE HOLLAND TO A CAPTAIN JOHNNY THESUM OF EASTERN AIRLINES on the front free endpaper. A very solid copy to boot of the 1951 1st edition. Tight and Near Fine in a crisp, price-intact, Near Fine dustjacket, with just a touch of light wear along the spine crown. Octavo, Preface by Jimmy Doolitle. New York: G.P. Putnam's Sons, 1969. Hardcover. Near Fine/Very Good +. A crisp, solid copy of the 1969 1st edition. Clean and Near Fine in a bright, price-intact, Near Fine dustjacket, with just a touch of creasing along the front gutter, light creasing along the spine ends and one small closed tear to the front panel's top-edge. Octavo, dozens of black-and-white photographs and charts complementing the text. New York: John Wiley & Sons, 1928. Cloth. Very Good/Very Good. The 1928 1st edition, in its handsome pictorial dustjacket. Solid and VG (former owner inscription at front free endpaper, light soiling to the endpapers) in a bright, VG dustjacket, with light soiling to the panels. 12mo, 141 pgs. Kelseyville, CA: AAAA Publishing, 2007. Hardcover. Collectible; Very Good/Fine. INSCRIBED BY THE AUTHOR on the front free endpaper. A sharp copy to boot of the 2007 1st edition. 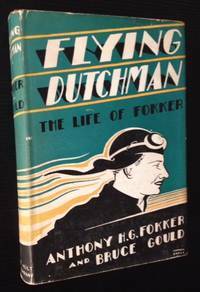 Tight and VG+ (with light flecking to the front panel's gilt-lettering) in a bright, price-intact, Near Fine dustjacket. Oblong quarto, 180 pgs., crisp photographs thruout. Signed by Author. Largo, Florida: Aero-Medical Consultants, Inc, 1977. 1st. Original Wraps. Collectible; Fine. A very nice Association copy: WARMLY INSCRIBED BY THE SUBJECT OF THE BOOK , COL. JOE "CHILD YANK" BOUDWIN, AND ALSO BY THE AUTHOR, WARREN J. BROWN, TO DON EASTWOOD, "AIR SHOW ANNOUNCER" AND RENOWNED WORLD WAR II FIGHTER PILOT IN HIS OWN RIGHT. A solid copy to boot of the 1977 1st edition. Tight and VG+ (with light creasing alog the outer hinges) in its pictorial wrappers. Octavo, 286 pgs. plus bibliography and index. Signed by Author(s). Washington, D.C.: Aircraft Industries Association of America, Inc, 1951. Cloth. Collectible; Very Good/Very Good. 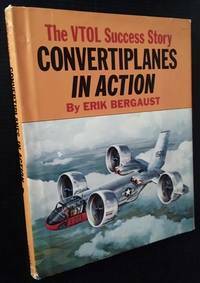 A solid copy of the 1951 Aircraft Year Book, the 33rd annual edition. Tight and VG (with light offsetting at the endsheets and pastedowns) in a bright, price-intact, VG dustjacket, with light soiling to the panels and very light wear at the spine crown. Octavo, 464 pgs. New York: Duell, Sloan & Pearce, 1942. Cloth. Collectible; Fine/Very Good. A solid example of the 2 volume set. 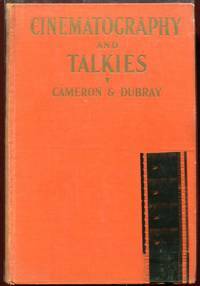 Vol.1 the 1942 stated 3rd edition, Vol. 2 the 1944 stated 1st edition. Both volumes clean and Near Fine in bright, price-intact, VG+ dustjackets, with very light chipping at the panel edges. Uniform oblong quartos, impressive black-and-white photos thruout. Washington, D.C.: Aircraft Industries Association of America, Inc, 1950. Cloth. Collectible; Very Good/Very Good. 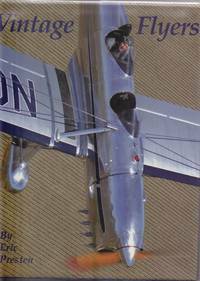 The 1950 Aircraft Year Book, the 32nd annual edition. Tight and VG+ (with very light offsetting at the endsheets and small former owner stamp at the front free endpaper) in a bright, price-intact, VG+ dustjacket, with light chipping at the spine crown. Octavo, 477 pgs. Washington, D.C.: Aircraft Industries Association of America, Inc, 1953. Cloth. Collectible; Very Good/Very Good. The 1953 Aircraft Year Book, the 35th annual edition. Tight and VG (with light soiling at the inner hinges and a small stamp at the front free endpaper) in a bright, price-intact, VG dustjacket, with light creasing at the front flap-fold and light chipping to the spine crown. Octavo, 463 pgs. Woodmont, CT: Cameron Publishing Company. Cloth. Collectible; Very Good. Interesting title in the canon of early Hollywood history --and very early cinematography. 1st edition, c. 1928. Tight, solid and VG in its orange cloth, with still-bright gilt-lettering to the front panel and spine. Light soiling at the panels, small, tasteful bookplate to the front pastedown, otherwise very clean. Octavo, 255 pgs. plus wonderful film-related ads. THIS COPY ALSO INCLUDES AN ORIGINAL SLICE OF PARAMOUNT NEWSREEL TITLED "JOURNEY'S END" AND REFERS TO "PASSENGERS ON GREAT SHIP'S PIONEER TRANS-OCEAN FLIGHT". ABOVE THE TEXT THE FILM SHOWS 4 STILLS OF THE GREAT AIRSHIP PROFILED. Vineburg, California: Prewar Publications, 1996. Collectible; Fine/Fine. A crisp, clean copy of the 1996 1st edition. Solid and Near Fine (with very light smudging at the front free endpaper) in a bright, price-intact, Fine dustjacket. Tall quarto, 269 pgs. plus Index. New York: D. Appledton-Century Company, 1941. 1st. Cloth. Collectible; Fine/Very Good. A crisp, tight copy of the 1941 1st edition. A Review Copy to boot, with the Review Slip laid-in. Near Fine in a bright, price-intact, VG+ dustjacket, with light soiling to the panels. Thick 12mo, 246 pgs., published for "Air Youth of America"
Kalamazoo, Michigan: Wolverine Press, 1972. 1st. Hardcover. Collectible; Very Good. A very solid copy of the 1972 1st edition. Tight and VG+ in a bright, price-intact, VG+ dustjacket, with very light chipping at the spine crown. Quarto, dozens of crisp black-and-white plates thruout. London and Fallbrook, CA: Putnam and Aero Publishers, 1965. 1st. Cloth. Collectible; Fine/Very Good. The 1965 1st edition. Tight and Near Fine in a bright, price-intact, VG dustjacket, with very light wear along the spine crown. Octavo, 415 pgs., crisp black-and-white photos thruout. Paris: Asociation Pour La Recherche De Documentation surL'Histore De L'Aeronautique Navale, 1999. 1st. Hardcover. Collectible; Fine. An immaculate copy of the 1999 1st edition. Bright and Fine in its pictorial laminate boards. Tall quarto, 494 pgs. An impressive history of the French seaplane (or hydroplane) used in World War I. Text in French. By Victor Kulikov et al. Paris: Editions Lela Presse, 2001. Hardcover. Collectible; Fine. An immaculate copy of the 2001 1st edition. Bright and Near Fine in its pictorial laminate boards. Tall quarto, 191 pgs. Text in French. "Collection Profils Avions No. 3"
Mesa. Arizona: Champlin Fighter Museum Press, 1986. 1st. Hardcover. Collectible; Fine/Fine. A crisp, clean copy of the 1986 1st edtion. Solid and Near Fine in a bright, Near Fine dustjacket. Quarto, 336 pgs., first-rate color illustrations by Ray Rimell. Paris: SIB, 1996. 1st. Hardcover. Collectible; Fine. An immaculate copy of the 1996 1st edition. Bright and Fine in its pictorial laminate boards. Quarto, 256 pgs. Text in French. "Collection Histoire De L'Aviation No. 1"
New York: Henry Holt and Company, 1931. 1st. Cloth. Collectible; Very Good/Fine. An unusually well-preserved copy of the uncommon 1931 1st edition --and in its striking, art deco-ish dustjacket. Solid and VG (with light rubbing to the spine's gilt-lettering) in a bright, price-intact, Near Fine dustjacket, with very light scuffing to the spine. Thick octavo, 282 pgs. 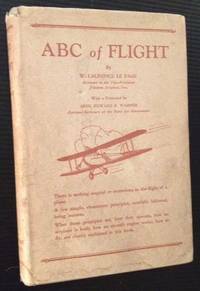 Foreword by Col. Eddie Rickenbacker. 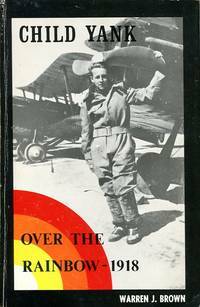 Dramatic, fast-paced biography of the great German aviator and military pioneer.